The global crowd analytics market is driven by growing security threats. The heightened demand for intelligence video systems and a need for business intelligence systems will also drive the crowd analytics market in the period from 2017 to 2025. This market is anticipated to witness a rapid rise due to the heightened need for business intelligence solutions on account of which there is a high demand from small and medium (SMEs) and also from enterprises that are large. With the ability to gain competitive advantages for organizations by giving information such as how to perspective of consumers and consumer response to a particular product or service, the demand for crowd analytics will rise in the coming years. The growing instances of breaches in physical security, high demand for intelligent videos systems, and a growing attractiveness for business intelligence tools will also drive the growth prospects of the global crowd analytics market. The retail vertical is anticipated to witness high growth on account of the capability of this solution to provide real time market intelligence and insights into the behavior pattern will encourage many businesses to adopt this solution for strategizing their businesses. On the other hand however, the global crowd analytics market will witness two key challenges over the years to come. Initial investments required in the market are very high, dampening the entry prospects of new players, thus acting as a market challenge. 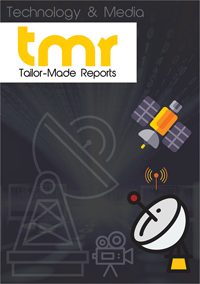 The global crowd analytics market is projected to grow at a rapid pace between 2017 and 2025. Crowd analytics refers to a data science technique used by organizations to gain certain behavioral and psychological elements. The technology thus involves analyzing consumers’ behavioral pattern towards any product or services using social network and crowd sourced platforms. It provides organizations real-time information about the actual perspective of consumers, thereby enabling them to gain competitive advantage in the overall market. The rising demand for business intelligence solutions worldwide is a crucial factor driving the global crowd analytics market. To provide an all-encompassing overview, the global crowd analytics market can be segmented based on application, service, standalone solutions, deployment mode, and region. An analysis into the factors influencing the market’s growth across these segments can help readers get a more holistic market overview. Besides this, the analysis will present insights into the segments that will prove most lucrative for enterprises operating in the global crowd analytics market. The report is aimed at updating stakeholders about the prevailing market dynamics. It identifies the opportunities and sheds light on threat which market players should take a note of. It therefore includes exhaustive information obtained from industrial sources via proven research methodologies. With organizations around the world exhibiting high demand for business intelligence solutions and surveillance systems to efficiently gauge consumer preferences, the demand for crowd analytics is likely to increase considerably in the coming years. Among the various application segments, the demand from customer management will help the crowd analytics market gain significant momentum. As organizations seek advanced solutions to gain consumer insights and strategize business better, the demand for crowd analytics will rise in response. Besides this, the market is also expected to gain from the rising demand in the travel and tourism segment. As the industry requires real-time data to understand consumer preferences, they will exhibit considerably high demand for crowd analytics in the coming years, thereby contributing significantly to revenue generated by the market. In order to capitalize on the technology, organizations are developing crowd analytics solutions either on-premise or on cloud. The technology offers cost-effective and time-efficient solutions to help enterprises gain insights into consumer preferences. Regionally, the market is forecast to witness lucrative opportunities across North America, followed by Europe. The rising focus of developed nations such as the U.S. and Canada on innovations and the high uptake of novel technologies will aid the market’s expansion in North America. In Asia Pacific as well the market is projected to gain significant traction. The rising demand for business intelligence in organizations across Asia Pacific and the demand to install advanced surveillance system will boost this regional crowd analytics market. Strategies adopted by leading companies have a significant impact on the market, hence the report profiles some of the most key enterprises in the global crowd analytics market. The vendor landscape analysis in the report covers financial records of key market players, their latest marketing strategies, mergers and acquisitions, and product portfolio. Strengths and weaknesses of the companies profiled are studied as well using SWOT analysis, which also presents insights into opportunities and threats that these enterprises might witness over the course of the report’s forecast period. Some of the most prominent players operating in the global crowd analytics market are Nokia Corporation, AGT International, Spigit, Inc., NEC Corporation, CrowdANALYTIX, Inc., and Crowd Dynamics.